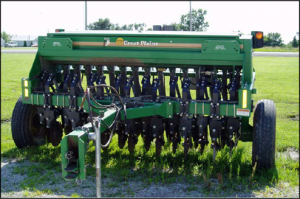 The Potter County Conservation District is now able to offer area producers the ability to have a complete No-Till system on their operation by having two No-Till Drills and a No-Till Corn Planter. 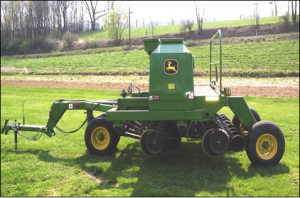 Farmers are now able to plant corn, soybeans, grasses, legumes, and small grains for cash crops, pasture renovations, and fall cover crops. Rental is first come first serve! Call us to schedule (814) 274-8411 ext. 4. 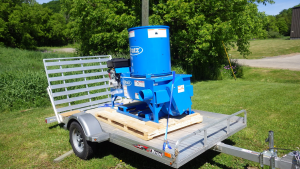 Great for Nurse Crop Seeding. Can plant two types of seeds (oats & alfalfa) at different depths. 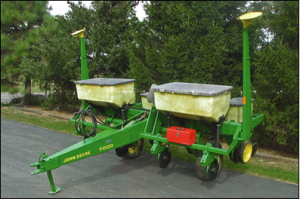 Designed for Direct Seeding. Cannot plant two types of seeds (oats & alfalfa) at different depths. $25 delivered in Potter County, $1.25 per mile delivered outside of Potter County. $50 Penalty will be assessed if fertilizer is left in fertilizer boxes!! 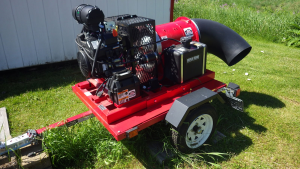 Towed behind a truck or ATV for road ditch maintenance. Available free of charge to all parties eligible for the DGLVR Program. Used for rapid mulching and revegetation of construction areas. Available free of charge to all parties eligible for the DGLVR Program.